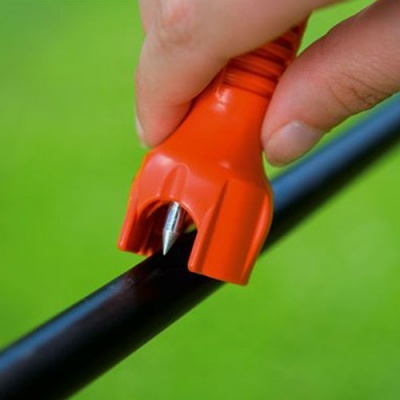 Gardena ® Installation Tool is designed for use with the patented Gardena ® Micro-Drip Irrigation System. 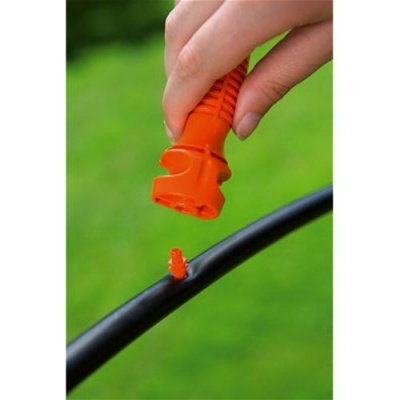 A handy universal tool for connecting any of the following: Endline Drip Heads, Spray Nozzles, Spray Nozzle Extension Pipe & Connectors 4.6mm (3/16"). 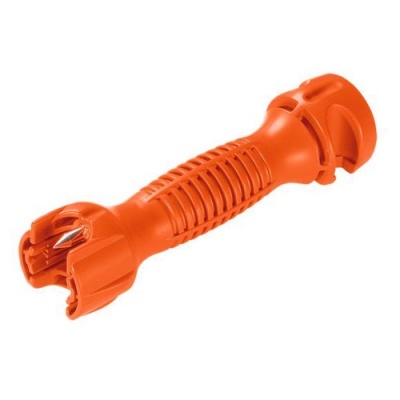 Installation tool is easy to use and utilises a unique metal piercing tip so the Connecting Pipe can be accurately pierced. 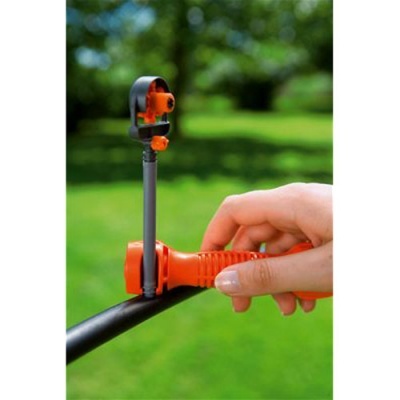 The Installation Tool also has a holder for the cleaning needles of some drip heads (1340-20, 1341-20, 8343-20, 8344-20).